In the 96 years that have followed, the mining industry has undergone a number of transformations as its role in Mongolia’s economy has steadily grown into one of its leading sectors of growth, responsible for producing 21 percent of its GDP, 70 percent of its total industrial output and 90 percent of its export product. Coal, copper and gold form the principle reserves that are mined in abundance across Mongolia. The country hosts approximately ten percent of the world’s known coal reserves at an estimated 162 billion tonnes. It took Mongolia a while to shake down since shaking off Soviet influence in 1990 and ceasing to call itself a people’s republic, but today this huge, sparsely populated country is democratic, peaceful and stable. Its readily accessible mineral wealth has started to attract major mining companies seeking new resources and with copper and gold prices firming up following a four-year downturn. Since it floated on the Australian Stock Exchange in May 2010, the Australian exploration company Xanadu Mines has been single-mindedly pursuing its goal of adding value to its properties in the South Gobi district of Mongolia. “We like Mongolia because it is a very under-explored exploration location, even though it has been shown to host some of the biggest copper deposits in the world,” adds Stewart. 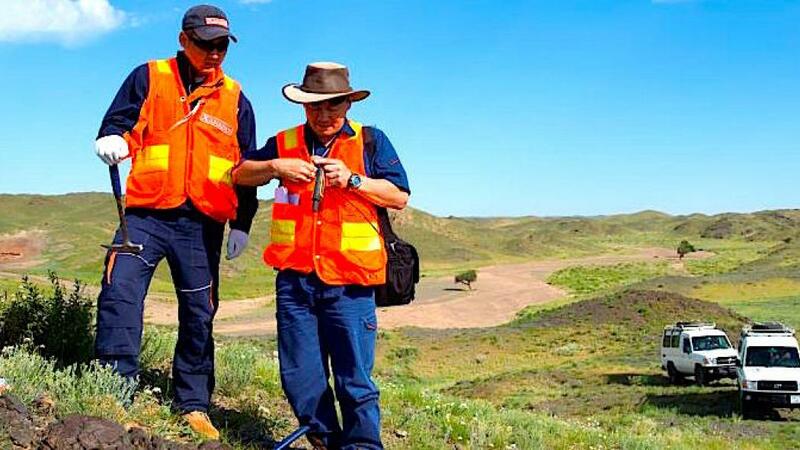 He points for evidence to Rio Tinto’s massive Oyu Tolgoi project, only 100 kilometres from Xanadu’s flagship Kharmagtai project in the south of the country. With the cost of bringing it into production estimated at close to $10 billion, the Oyu Tolgoi mining project represents the largest financial undertaking in Mongolia’s history. “Mongolia is God’s gift to explorers! A junior company like Xanadu can explore relatively cheaply,” he says. There are comparable reserves in the world, but most of these are located in remote jungle, at high altitude, places with high rainfall or, like the beleaguered Grasberg mine in Indonesia, beset with political disruption. While Xanadu’s peers are drilling at a cost of up to $600 a metre, Xanadu’s costs come in at around $100, thanks to the open nature of the terrain plus the fact that all of the roads, power, water and other services that are required are already in place. “Particularly at Kharmagtai, this is the benefit gained from the infrastructure that goes in when one of the world’s biggest mining companies builds a tier one asset next door to our project,” he admits. All three projects that Xanadu is developing are in highly prospective deposits. The gold element is a critical differentiator between these Mongolian resources and others in South and Central America for example. “These porphyry copper resources we see in Mongolia are probably the biggest gold resources globally,” he says. These are precisely the type of deposit that the major mining companies are turned on by at a time when there is a scarcity of new resources on the one hand while on the other global economic uncertainties are encouraging investors to take refuge in gold. Kharmagtai, with a 30-year mining licence and a registered water resource, is the most active currently, and he estimates that it will take another year to define. The deposit starts at the surface, giving the opportunity for early production upside from an open pit, but in the longer term there is a great deal more value deeper down. Xanadu’s local drilling contractor Litho Resources has already gone down 650 metres, with some excellent intercepts, but by mid-2018 he expects it to reach as far as a kilometre. The demand for copper from Japan, China and Russia, with ready logistical access to all of these markets, boosted by the global thirst for gold, will make Xanadu Mines a tempting target for the majors, though the company does not by any means rule out the possibility that the they might build its own mines either alone or in partnership.